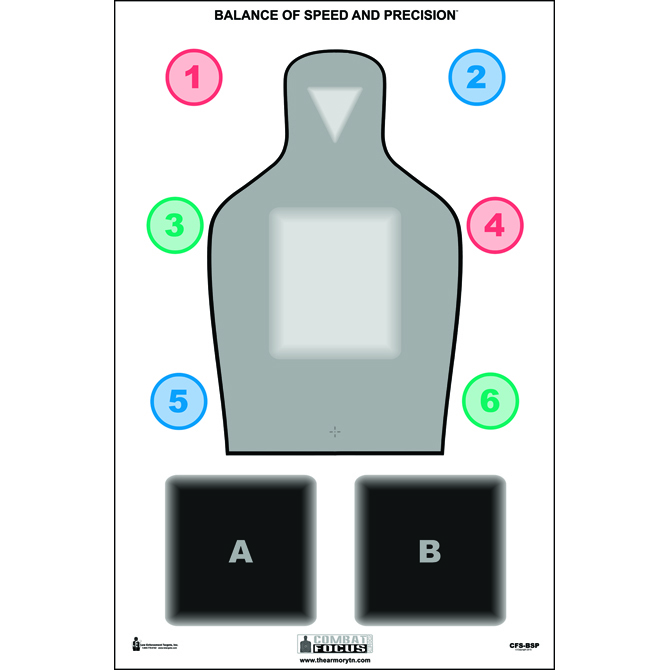 Combat Focus Training Target designed to the specifications of the I.C.E. Training Company. 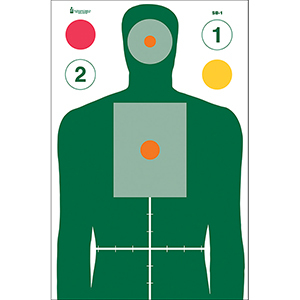 Target promotes Combat Focus Shooting Skills by emphasizing highlighted vital hit zones. 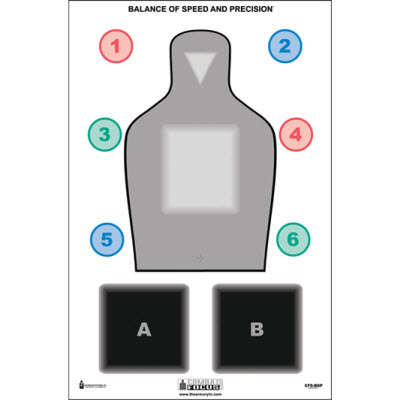 Target also features command & skill building training shapes. Black, Red, Blue & green. Size: 23" x 35"